Twisting the Plot is a platform for women to explore creative ways to live our lives. Menopause is a process that can take many years, bringing changes on many levels. This multilevel change involves physical, emotional and social transformation. How do we navigate this experience and where does it lead us? Dr Allison Schwartz will be approaching women's psychological health from a holistic perspective that incorporates mind and body. Our focus will be on postpartum and fertility issues that affect many women but also partners. We will come away knowing the value of psychology when dealing with depression or baby blues and what the difference is of both. Bring your mama friends! Ever wonder the benefits of essential oil? Want to add this to your practice or self care ritual? Learn to help women in the full spectrum including pregnancy. Plus we will discuss the difference of the two main brands Young Living and doTerra. "Leadership: What Does That Look Like?" Starting your yoga business can feel like a daunting task. One of the most common challenges teachers face is overextending oneself and missing the meaningful work that will inspire others and ourselves. This workshop provides the space to see that your choices align with your short term and long term goals. Additionally, you will be introduced to leadership tips that help you build confidence and help you to continue to grow (personally and professionally). Having experienced significant Wall Street success, Katie Byrne took time off to have two children and has returned to the marketplace as a Leadership Consultant, Facilitator and Executive Coach. She is certified in EQ-I 2.0 and is an iPEC certified Coach. One of Katie’s areas of expertise draws upon her entrepreneurial background, and she enjoys helping businesses create opportunities for growth. Following a career in a male dominated industry a personal passion is to create more EQUALibrium in senior leadership – which for her means achieving gender equality in the C-Suite. Learning self-care techniques as well as massage for your baby can help ease the physical and emotional stresses of parenting. Infant massage benefits include regulating sleep patterns, improving brain development and immune functioning, stimulating sensory functions, increasing blood circulation, relieving infant colic/stress/assisting in more productive digestion, balancing respiration, boosting self esteem for both parent and baby just to name a few. In this course, you will learn various self care routines for stress relief & management, as well as an introduction to Infant massage like the best time to do massage, learning cues and reflexes, learn/practice active exercises and a few key strokes as well as participation in support group discussion. Lesley Majzlin is a NY State licensed and Nationally Board Certified massage therapist holding an Associate Degree in Occupational Studies in Massage Therapy from NYC’s Swedish Institute since 2003. She is a Professional member of the American Massage Therapy Association and Infant Massage USA. She is an Internationally Certified Parent Educator/Instructor of Infant Massage and is certified in Elaine Stillerman’s MotherMassage®technique as well as prenatal certified by the Somatic Institute where she also did training as a Massage Doula. As a yoga teacher, we want to serve every person that walks into our room. All practitioners deserve our guidance and knowledge to keep them safe while moving them through the practice. Pregnant women, superheros non-withstanding, have particular considerations. Do you feel confident guiding a pregnant woman in your regular asana class? Can you challenge her with exercises that will help her through her labor while still moving your class along? This is multitasking at it’s finest, but I promise, I will show you that it is not only fun but you have a chance to truly make an impact on a woman. And, quite possibly, our future. As yoga teachers and healers, it is likely you will encounter clients who are healing from Trauma. There may be students or clients in various stages of PTSD or working through the layers of healing. Occasionally the physical and energetic work can also unexpectedly activate flashbacks and or physical and emotional responses. It is vitally important that as practitioners, we are trauma-informed in order to ensure we do not cause un-intentional harm. This workshop presents a holistic view, with the most current cutting edge science and information on the approach of working with trauma from a physiological, neurological, psychological, emotional and spiritual viewpoint. We will engage in an open and powerful conversation, furthering basic knowledge of how to work with the complexities that may be present, while understanding how to hold our own trauma informed boundaries, so we can best support the process of healing. Allison develops and leads programs, classes, workshops and retreats for survivors of sexual assault, domestic violence and child abuse and the healers working on the front lines of trauma for the Joyful Heart Foundation. She co-­developed the current retreat model that is being researched by Georgetown University. Allison is also a consultant with A Thousand Joys, serving children, women and organizations in residential Domestic Violence Shelters, Drug and Alcohol Rehabilitation and Incarcerated Women. Allison is the Founder of Creative Seeds, a non ­profit organization, which focuses on preventative and post ­trauma healing work through creative arts, movement, yoga and wellness immersion projects and initiatives in both South Africa and the United States. Allison is a certified vinyasa yoga teacher with specialized training in yoga for trauma. She has taught all around the world. This workshop discusses the various systems of the body, from hormonal to skeletal, to give participants a greater understanding and appreciation of how beautifully we are designed to give birth. For pregnant mamas interested in knowing more about their powerful and shifting body as well as anyone working with or on a pregnant goddess. 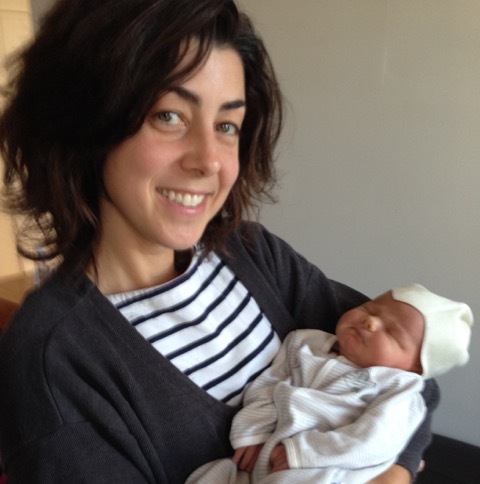 Leigh Kader is a certified cooperative childbirth educator with the Childbirth Education Association of Metropolitan New York and a certified birth doula with the Doulas of North America. As the mother of two, she knows first hand the benefits of a comprehensive childbirth education and nurturing support throughout childbirth. Leigh supports families birthing in a variety of settings and teaches group and private classes throughout the New York metropolitan area.